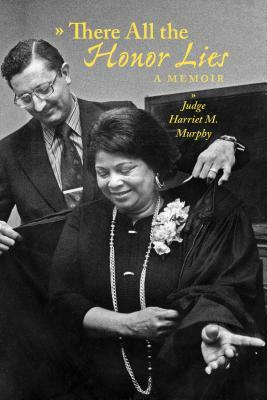 This autobiography of the first permanently appointed female African American judge in Texas, Harriet M. Murphy, is the story not only of an African American woman who grew up in the 1930s and 1940s, but of the civil rights movement. Judge Murphy began fighting injustice and inequality early in her life. Through her work with the NAACP and the Urban League, she sought social change at the local level. She recounts meetings with civil rights icons, including W. E. B. DuBois, Martin Luther King Jr., and Thurgood Marshall. Though caught up in activism, she found time to pursue her dream of becoming a lawyer. There All the Honor Lies details some of Murphy's most notable accomplishments, including instituting a partial payment plan for constituents who were fined by the municipal court and chairing the city of Austin's first detoxification task force. Since retiring from the bench, Murphy has run for the Austin City Council and been inducted into the National Bar Association Hall of Fame.